When I made the commitment for my family to live healthier, I was overwhelmed with the number of things I had to think about. There was diet and nutrition, physical and mental exercise, examining lifestyle, and so much more. This would be a new way of thinking and acting — for the rest of our lives! Because of my tendency to seek perfection and want things all at once, I knew this would make me crazy if I didn’t pace myself right from the beginning. I found that taking individual steps, and focusing on a couple of things at a time, was more manageable for me. Baby steps made it easier on my [reluctant] family, too. Swapping just one habit, or one group of products at a time helped us make progress without me feeling overwhelmed. The progressive approach also helped my family adjust, without as much grumbling as I think would’ve happened all at once. It took a couple of years, but we were finally able to implement the healthier, more natural lifestyle we lead today. Looking back at where we started, I’m proud of how far we’ve come on our “greening journey”, as I like to call it. The earliest changeovers we made included the foods we ate (or stopped eating), cleaning up our drinking water, choosing smarter cleaning products, and making changes to our home to eliminate toxins and irritants (read about that journey here). Later on, I began switching out personal care products, focusing on natural first aid and healing remedies, filtering our air, and researching ingredients to make certain products on my own. One of the things I had forgotten about were those commercial hand sanitizers and wipes that were in the car. We were still using them after pumping gas, before eating in the car, or in place of washing our hands when that just wasn’t possible. I still had those purse-sized bottles hanging everywhere, and we’d easily go thru several of them at Disney, during a day of volunteering, or when my kids were working their part-time jobs. I love that we’re not only getting rid of bacteria now, but also naturally moisturizing our hands at the same time. My current blends are based on recipes found on the internet, with changes I made on my own. I’m sure there are other blends that work well, too, but here are our recipes if you want to give them a try. I’m giving you my simplest recipe and my super-duper one, so you can choose based on what you have on hand. 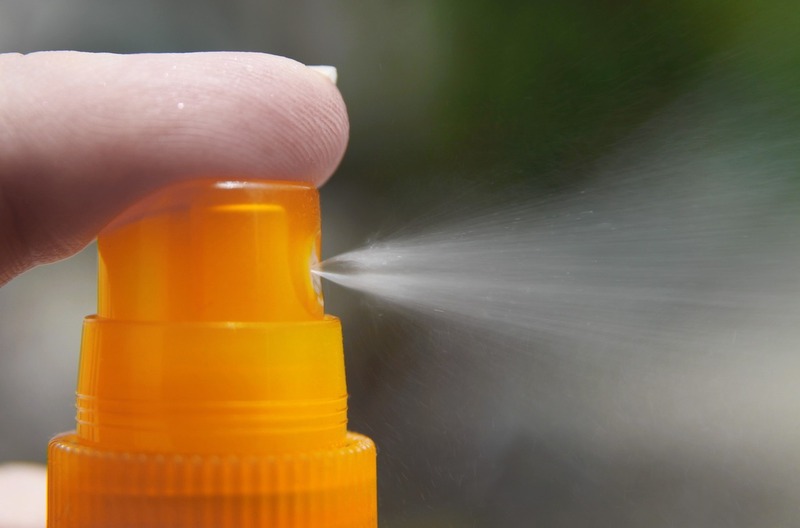 Pay attention to the thickness before deciding whether to store it in a spray or squirt bottle. I don’t use the most expensive oils for this recipe, saving those for other uses; but by all means, use the oils you’re most comfortable with. If you like the convenience of wipes, you can fill an old baby wipes container (with the pop top) about 1/8 full with the liquid recipe, then stuff as many crumpled up paper towels as you can fit in there. And if you’re feeling really ambitious, you can saw (yes, saw) a roll of paper towels in half and put the half roll in there. I only do that when I’m feeling really ambitious, but if you play your cards right, the pop top works remarkably well for pulling wipes out from the center of the roll. Finally, I’ve noticed aloe doesn’t stay fresh forever, so if you use aloe, I wouldn’t make a huge batch at one time. If you eliminate the aloe, though, it will last much longer, especially if the bottles are dark or you keep it out of the sun. If you’ve followed me a while, you know I prefer to be scheduled. Schedules keep me focused, keep me productive, and give me peace of mind. But what you might not know is exactly how I use schedules. Or how schedules don’t rule over me. In fact, I rule over them. In this post, I’d like to talk a bit about block schedules. I want to first tell you their traditional origins. Then, I want to tell you how I modify and use the traditional model to meet my family’s specific needs instead. If you or someone you know wants to hear this information first-hand, I’d be glad to come speak to your group. Turns out, not only is this really good stuff to read about, it’s is one of my most requested talks, too. So, the basic thinking behind block scheduling is this: you decide what needs to be accomplished each day, you divide the day into time periods from morning until night, and you schedule people into each time period so that everything gets done. I didn’t invent this way of thinking — schedules have been around for generations. But, if you’ve never heard of the concept, watch this for a brief introduction. The problem with this method of scheduling is it can be very rigid. Some people don’t like having the entire day planned out ahead of time. Many people find it exhausting to move from task to task all day long. There are also philosophical and psychological objections, as many people find schedules an assault on their way of thinking, their creativity — a big brother-ish type of mechanism controlling their every move. Some years ago, I discovered a solution to that problem. I was pretty excited about it. My discovery solved the block scheduling problems I was having in my home. Plus, it solved all of the objections I was hearing from the people who attended my scheduling classes and workshops, too. The solution I invented was to “plan” unplanned time. You heard it here first! This was a huge and ground-breaking discovery for me. Something so simple made such a tremendous difference! What I now do in my home, and I now teach in my seminars, is how to “schedule” down-time. Crazy as it sounds, it really works! Not only do I schedule down-time, I also schedule free time. Choice time. And times when nobody in the house wants to be scheduled, needs to be scheduled, or should be scheduled, either. Oh, and I also schedule people who are not on the schedule. It’s really not. Because by un-scheduling time and people, they receive freedom. The freedom they need, want and choose throughout the day. While still keeping the rest of the household and duties right on task. By the way, I also schedule things! You’ll need to attend a seminar to hear about that part. Block scheduling isn’t what you think. I’ve solved it! 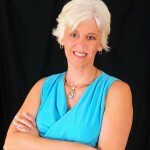 I’d love to show you how block schedule can work for you, your partner, your kids, and in your life. Blank block schedule sheets to print out? Video tutorials about block scheduling? More video tutorials about block scheduling? More articles about block scheduling? 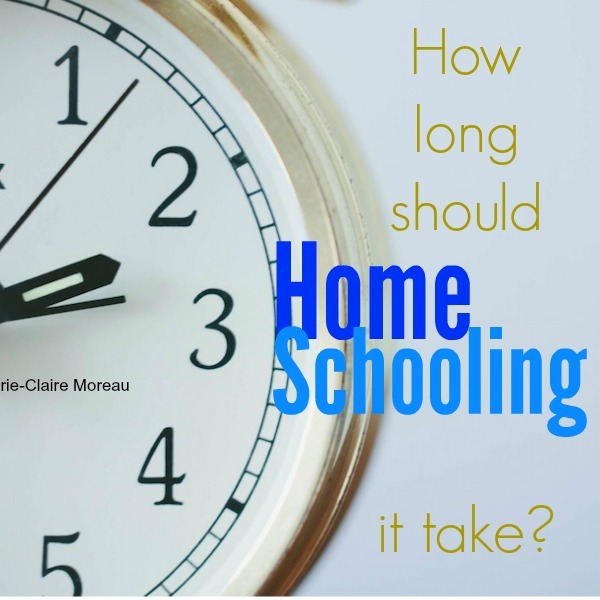 A frequent question from parents is, “How long does homeschooling take?” It’s normal to wonder how long something will take if you’ve never done it before. It’s also normal to wonder if your school day is taking much longer than everybody else’s. When we first started years ago, the time factor played considerably into our decision, as the nearest school involved driving dirt roads, paying a toll, and an almost 2 hour round trip. Though my husband and I were 99.9% sure we’d be homeschooling at that point, we were still keenly aware if we ever did decide to put our kids in a classroom, the journey back and forth would have a major impact on our time. Parents each homeschool a little differently. Kids learn differently, too. I cannot estimate the average length of a homeschool day, because there is no average. But I can tell you this: when my kids were little, they were easily homeschooled (the formal lesson portion) in less time than it would have taken me to drive and pick them up from school twice a day. It’s time for a little disclaimer. 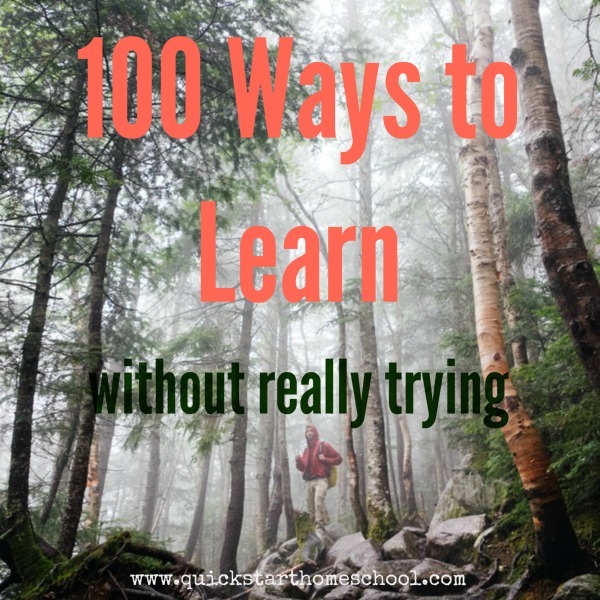 What I’ll be talking about in this article is strictly book work and the curriculum types of exercises that many people view as the “homeschool” part of the day. The reason it’s important you know this, is because kids learn all day long, whether they’re “in school” or not. What I am about to tell you, is how long the book work portion of homeschooling took in our home. But what you also need to realize, is that our success really came from raising our kids in an environment rich with opportunities for learning all day long. Please understand any estimate I could give would account for only a fraction of our success. Now, if you’ve read this far, you’re probably still wondering how long homeschooling takes. I am about to give you an idea of how long it took my kids, in our home. But, please, make sure to read this article to the very end, as it is only then that you’ll understand fully how long homeschooling really takes. We simulated a classroom environment in the early years, and my kids did book work from a very young age. I was lucky, as my husband built us a dedicated area for our classroom, which included a learning area, a quiet area, a swing set just steps away so I could see the kids from the window, and a bathroom, too. The classroom model was all we knew, and it turns out, we enjoyed many years of using it, too. In the early years, we began each day in a very school-like fashion: a calendar lesson, a day of the week, a letter of the alphabet, a weather report, and learning to tell time on a little plastic clock. We’d then read together for 20-30 minutes, and then split up for individual activities. Because I schooled all my kids in the same room and kept the baby in there, too, it was easy to move from kid to kid. Those years included early curriculum, but also lots of reading, drawing, workbooks, audio and video tapes, and creative projects to accompany whatever we were working on. I kept boxes and boxes of early learning toys in the classroom, which I swapped in and out for children who needed a break or needed to be kept busy as I was doing something else. We had chalk boards, white boards, felt boards, and plenty of ways to learn for the several hours we were in there. We kept pets in our classroom, too, so there was always something fun to do. I am not going to lie — those years were pretty exhausting. If I had it to do over, I would greatly relax my requirements (learn how) . But, again, it was what I knew at the time and, fortunately, it worked very well for us. As my kids got older, I introduced more curriculum for the core areas we covered in the mornings, and more things we could all do together for hands-on and specials in the afternoon. We covered pretty much every subject, every day. Our days varied, but with several young ones in the house, it definitely took all morning long for the older ones to get their book work done — approximately 3 to 4 hours. We also worked through lunch, and I did music appreciation lessons and foreign language (on alternating days) during our lunch breaks at the kitchen counter. On a typical day, our mornings started at 8 or 9, and ended somewhere around 12 or 1 — even 2. The afternoons were when we came together for projects, electives, chores and play time. Remember I had multiple children, so homeschooling one child would have been entirely different for us in those grades. And in the interest of full disclosure, I wasn’t above putting kids for naps or letting them watch a video when I really needed a break — which was quite a bit. These were the years when things could fall apart with no warning, and when I spent much of the time gathering the scraps of our days and counting them as school. Our well-planned days didn’t always go as predicted with little ones about, but there were enough days that finished well, so the accumulation of these years amounted to a whole lot. The middle years were much more straight-forward in our home. In my opinion, they were easy. My children were assigned things to do, and they did them. I had trained them to work on schedule, they knew where everything was located, plus all of our household and chore systems were well in place by the time they were able to work more independently. Those were also the years when I moved more into a supervisory/tutor/helper role than that of the full-time teacher I had been when they were younger. And because my older kids spent more time working on their own, those years afforded me the time I needed to be with the younger ones. For those who were wondering, that may help to explain how homeschool parents manage to teach multiple children at the same time. It is hard for me to estimate how much time my high schoolers spend on formal book work. That’s because their sleep schedules change (they don’t start at the same time every day), they are able to work for long periods on their own (thus I don’t always see them), and their classes and study periods often take place somewhere else (they take online classes and college courses). In addition, since my high schoolers make their own schedules for the most part (except in 9th, when I schedule them), there are days when they decide to work solely on one thing, and other days when they touch multiple classes in one day. I estimate my teens spend approximately 6 hours per day on book work, but I think the number could actually be higher. It isn’t that I don’t observe my kids, because I do. I also go over their planners every Sunday night. But, so much happens out of my direct earshot, and so many classes happen somewhere else, I cannot always really know how many curriculum hours they put in. 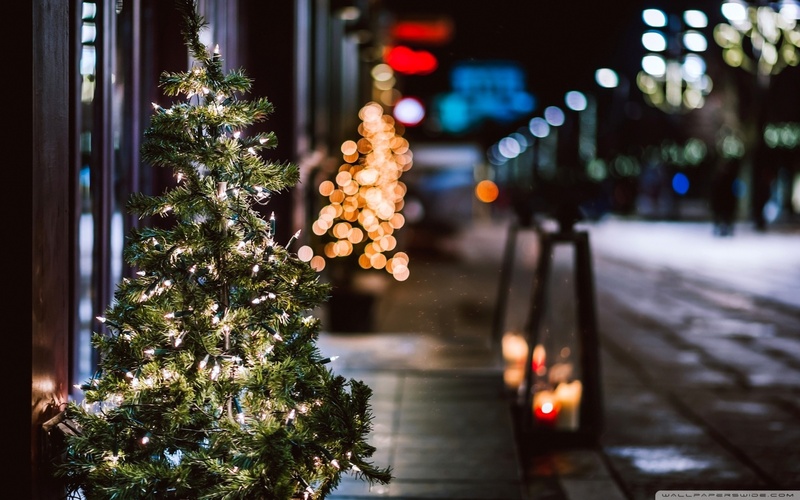 What I do know is that we all meet at the dinner table every evening, and oftentimes my teens have just finished their work, or say they still have more to do after dinner until late into the evening. Their workload varies pretty much every day. Sometimes, I don’t even get to see the work until it’s turned in for grading. I hope this has given you a glimpse into how we do homeschool in our home, but I remind you that these estimates include only our book/curriculum work, and not all of the other things my kids do during the afternoons and weekends, and the activities they do with other homeschoolers and community groups. For instance, this doesn’t include the coops my kids belong to and the field trips they go on. It doesn’t include the classes they take at libraries and museums. It doesn’t include the things they listen to in the car, read in the paper, discuss at the dinner table, and books they bring along with them to the beach. It doesn’t include the programs they watch, the web sites they visit, the games they play, the hobbies they keep, the lessons they take, the sports they play, the volunteer organizations they work with, and the thousands of other things that add as much — if not more – to their education. I am not boasting about my kids, merely reminding you there is no way to measure all the learning that occurs during childhood by simply counting hours. Remember, there are many paths to homeschooling success and our way is just one of them. I always encourage families to see what works best in their homes, and continually tweak the process as they move along. Whereas an hour may seem like a long time to work on one topic in one family, it is never enough time in another. Please, always do what works best for you and your children. When people ask how long homeschooling takes, though we can give estimates like these, what we also need to do is explain that homeschooling really takes all day. It takes all night, too. Actually, it takes an entire childhood. That’s because education is more than just the books and the schedules. Learning is the work of a child and homeschooling lasts until they take learning into their own hands as adults. When you share my articles, it helps me understand the kinds of information you need most.